While the worldwide media continues to attack the electronic cigarette industry, critical of everything from rechargers to nicotine strengths, common sense seems to be prevailing in the US. The Ohio Senate has announced plans to consider obligating manufacturers to ensure that eliquid containers used to refill electronic cigarettes should be childproof. This sensible move will ensure that it is even more difficult for youngsters to accidentally swallow the toxic liquid which has unfortunately occurred in recent times. 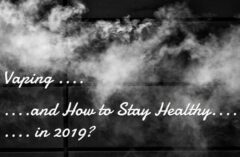 After the hustle and bustle of the last few years, with the electronic cigarette industry blamed for an array of accidents and issues, it does seem as though we are now starting to move towards a more common sense approach. Where does the electronic cigarette industry stand? As we have mentioned time and time again, despite the fact that the electronic cigarette industry has been demonised by the mass media in recent times, there is no interest in selling electronic cigarettes or eliquid to those under the legal age. This is something which has been ignored by politicians, regulators and those against the electronic cigarette industry giving a very different impression to the wider public. The introduction of tamper free bottles where eliquid is present has been welcomed across the board although it is worth remembering that many worldwide electronic cigarette companies already have such products in place. The fact that this is now set to be placed on the statute books in areas such as Ohio will ultimately mean that those towards the bottom end of the market, perhaps a little more unscrupulous, can be held to task if they do not abide by the new laws. There are a number of issues which have caused major problems between the electronic cigarette/vaping community, regulators and governments. Rather than working together to bring about an acceptable, safe and sensible regulatory structure, up until recently it seems everybody has been pulling in different directions. Regulators such as the FDA in reality have an impossible task because they can never keep all of the people happy all of the time. Finding a balance with regulations supported by the authorities, the industry and the general public seems finally to be top of the agenda. The next few months will be vital for the vaping community with both European and US regulations to be rubber-stamped and eventually introduce. We also have an array of legal challenges in the offing which could potentially place a spanner in the works in the short to medium term. 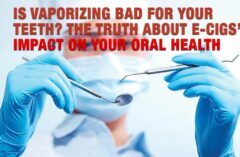 The industry is only now beginning to gain a credible and loud enough voice to have an opinion and thankfully the backing of the growing vaping community, as well as an array of medical experts, is coming to the fore. The proposed introduction of tamper proof/childproof eliquid bottles by the Ohio authorities is obviously a welcome move in the right direction and a sensible approach. The fact that many companies already have such safety measures in place should not be forgotten. However, the fact that this is to be introduced to the statute books will ultimately help to improve the quality of products available as well as safeguarding children. Previous : Who Should Decide What eLiquid Flavors You Can Buy?